I know, my posts about fall decorating are coming in a little late and few and far between. But I am working on some totally gourdge ideas to inject that harvest spirit into my casa. Sorry, I just couldn’t resist the pun! A couple weeks ago, I went pumpkin shopping for real pumpkins. 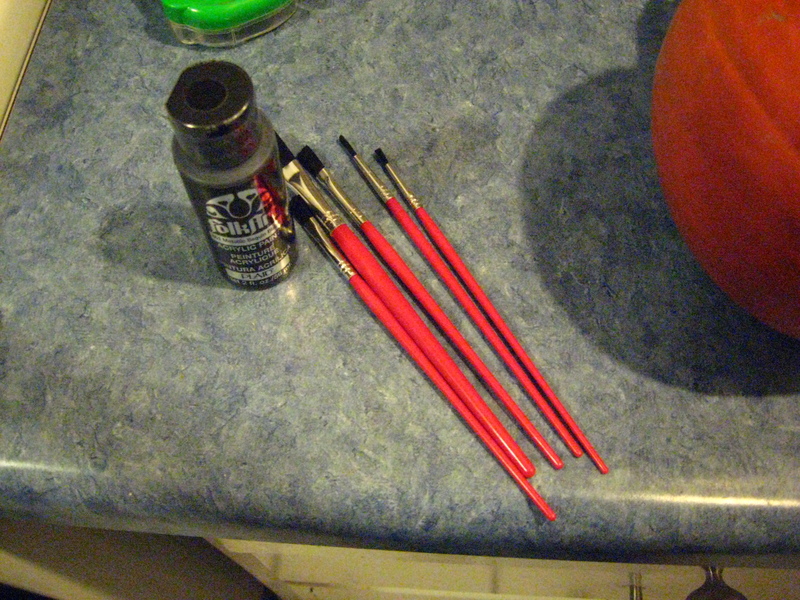 If you remember from this post I went crazy with the fuax pumpkins from our local handy dandy dollar store. 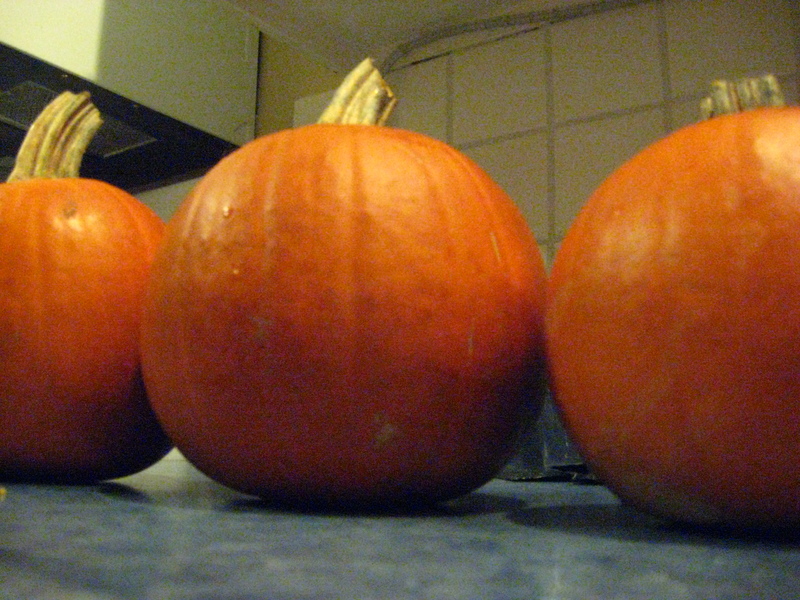 Well, this time, I finally gave in and brought home some real pumpkins to put outside. You know the, the kind that won’t blow away! Here are a few of the small ones. Aren’t they cute? 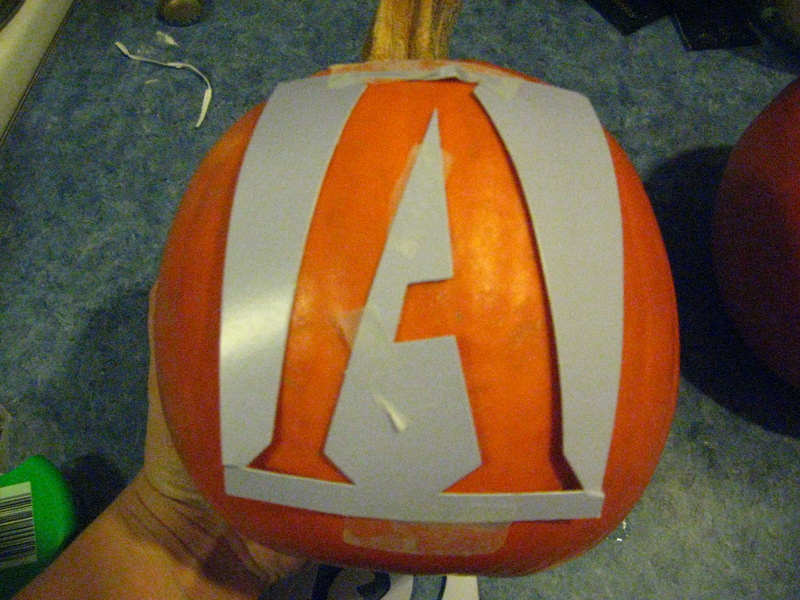 I ended up forgoing the V and replaced it with an &, which I thought was a lot cuter. 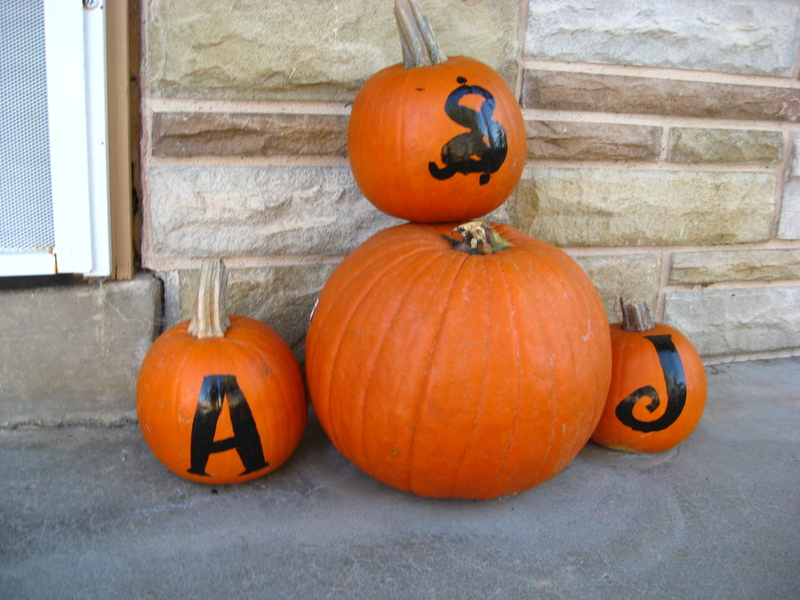 And much safer so that we don’t have all of our initials hanging out on the front porch. 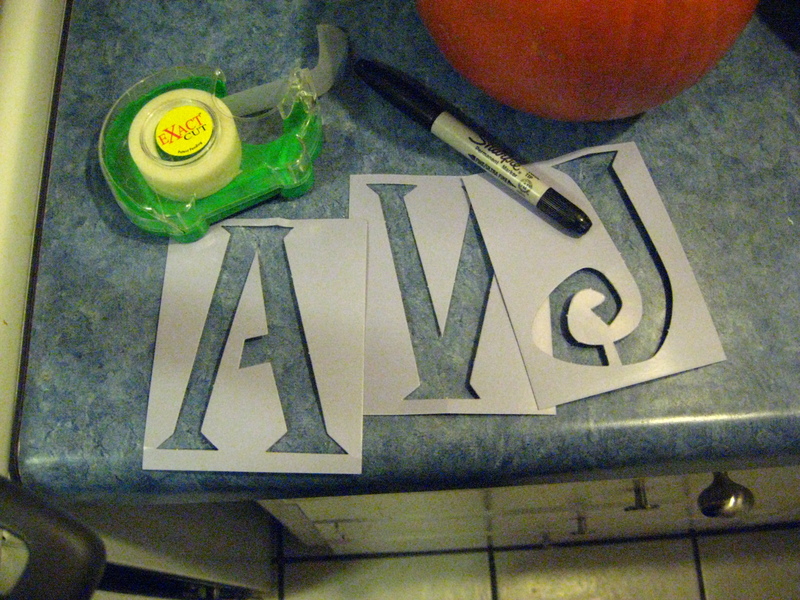 Then filling in the letter with my black paint, using dollar store water color brushes. I really do love the dollar store, there are so many treasures to be had there!! 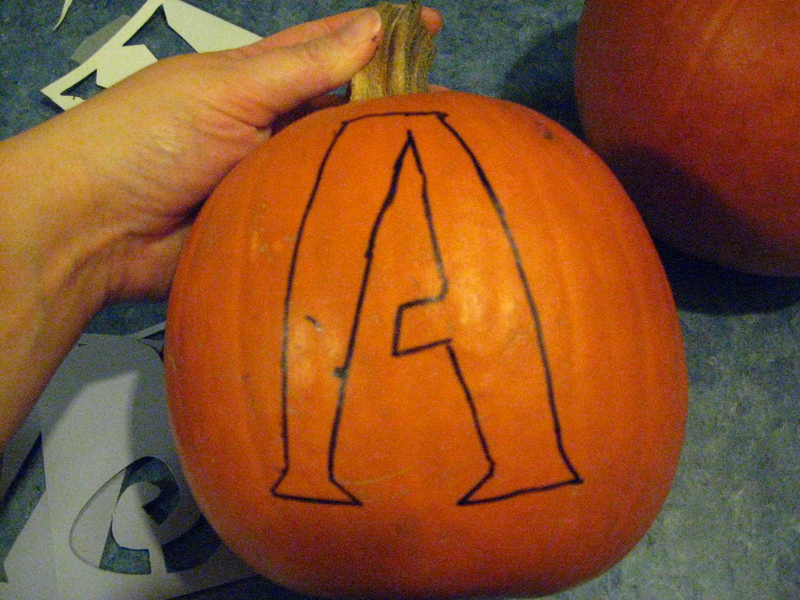 If I had remembered to take a photo of my pumpkin at this stage, you would see a photo here. That’s what I get for watching the late show while doing a craft. They look kind of sad there, sitting next to a naked pumpkin. I think I’ll have to do some more dressing up on the front porch. My poor pumpkins need something to sit on. I’ll have to go shopping around the casa to find a “free” something to use up here. What do you suggest I add to bring in more pizazz? Maybe a mini scare crow? Some autumn leaves?